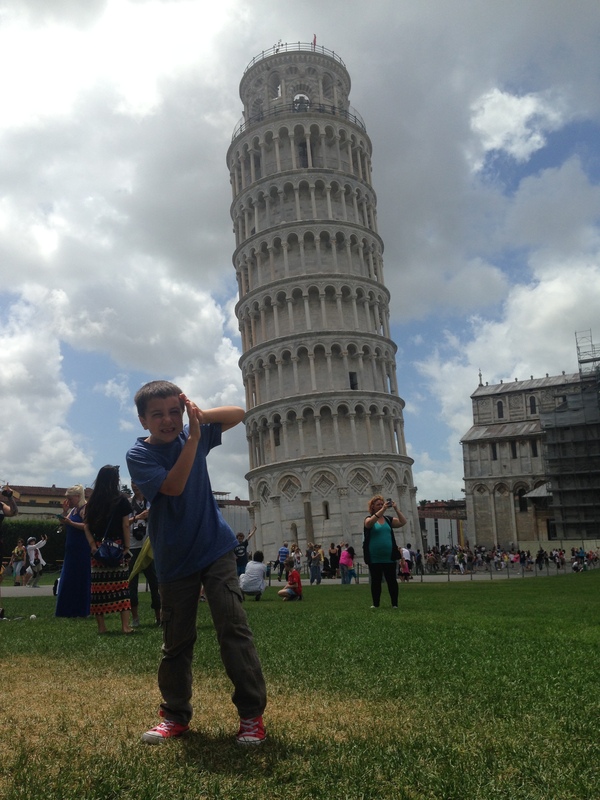 There are so many things that come to mind when someone says Italy….like leaning towers! You have to be really careful around those leaning towers! 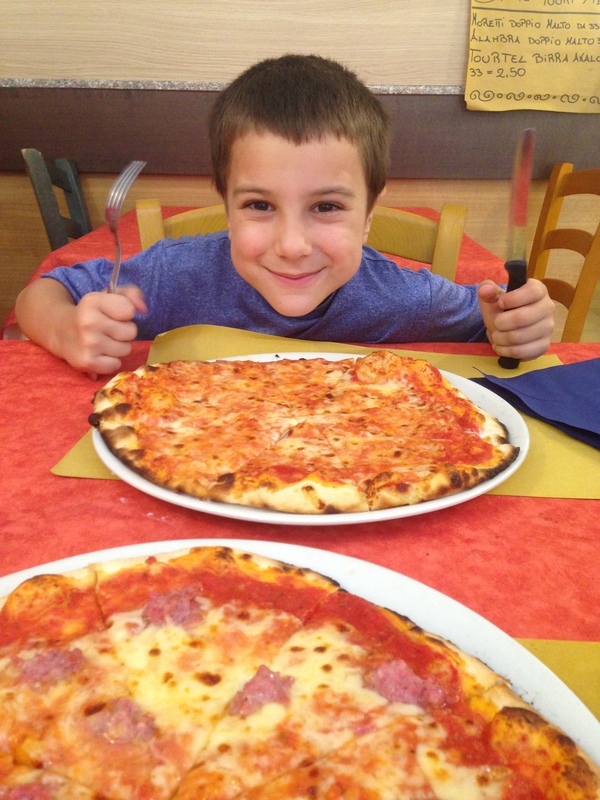 He was also all about the pizza…. This boy is becoming a bottomless pit…he ate the whole thing! And the pizza here in the Tucany region is different than what we had in Rome. 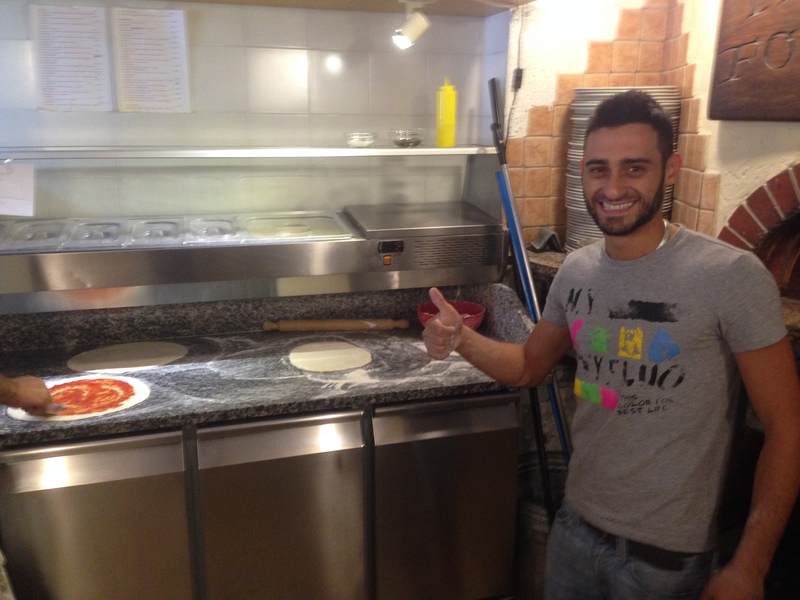 In Rome it was a fast food, fold it over, sandwich kind of thing….here in Pisa it’s definitely pizza as we know it! And so yummy. 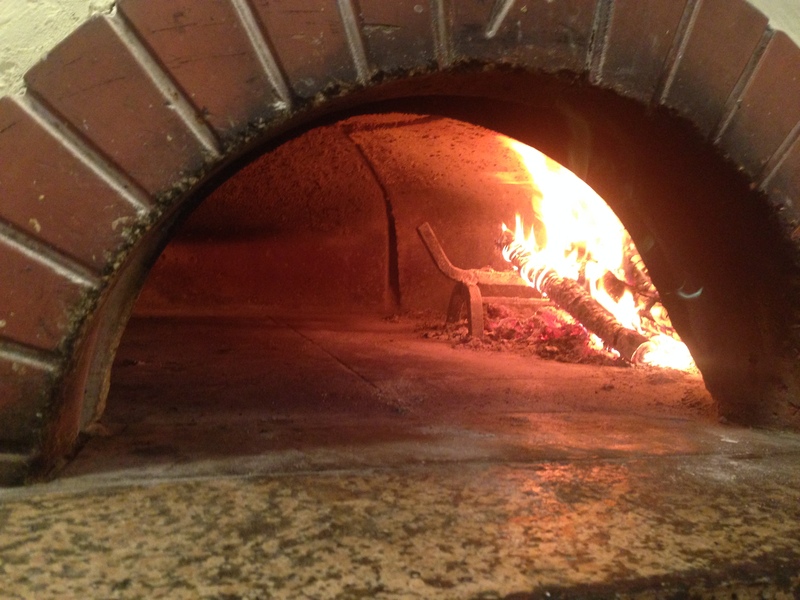 We found that they are typically cooked in pizza ovens….in this place the kids got to go back and watch the cook! 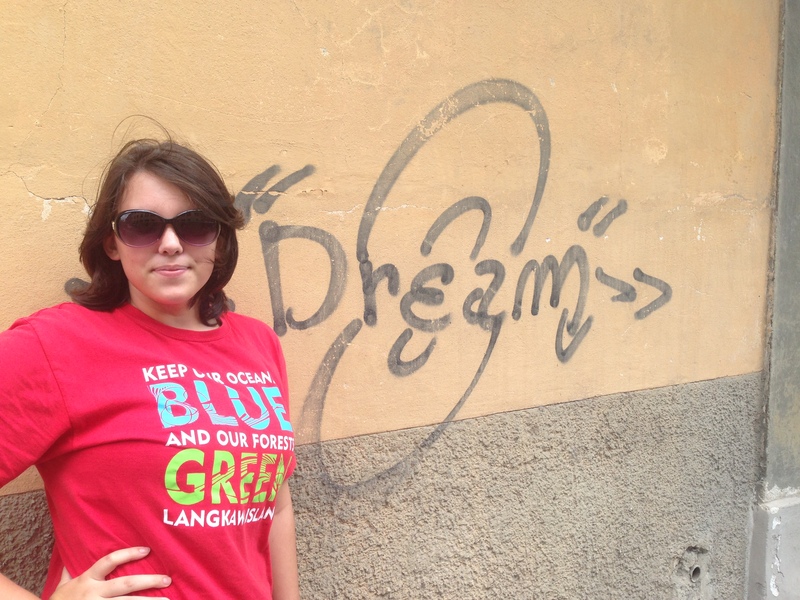 We enjoyed waking around the streets, just seeing what we see….it’s fun to explore a city that way. You never know what you’ll find! We also made a point to head down to the Arno River and have a look at Ponte di Mezzo. 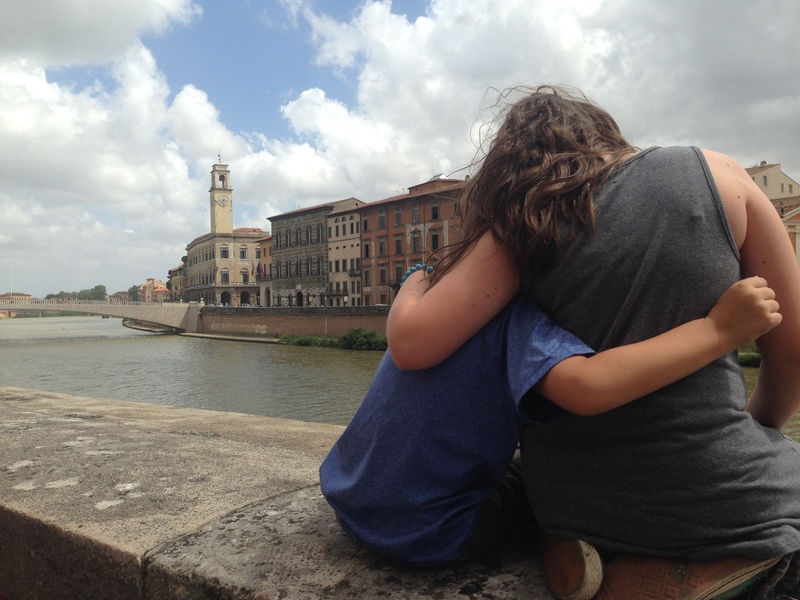 It’s the oldest bridge in Pisa and afforded us some pretty views with a cooling breeze!